Convenient stowaway design. 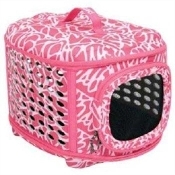 Comes with a removable, washable pet bed. Plenty of ventilation and visibility.